The Seattle International Film Festival (SIFF), running through June 8, brings more fascinating Asian films to town, many of them not available for viewing elsewhere. Here are three preview picks for the final week at SIFF. “Siddarth,” a joint production between India and Canada, is a film by up-and-coming director Richie Mehta, playing June 3 and June 4. 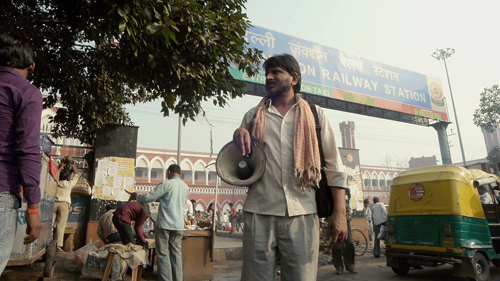 It features Rajesh Tailang as the main character, and Mahendra Saini, who works in New Delhi as a “chain-wallah,” repairing zippers along a certain route he walks along. As with several interesting films in the festival this year, “Siddarth” concerns a disappearance and search. In this case (inspired by a true story) the disappearing person is Mahendra’s son, Siddarth, who goes off to another part of the city to work in a factory. He drops out of sight completely, and the father drops everything to search the huge urban landscape for him. “Kumiko, The Treasure Hunter,” playing June 1 and June 2, takes its inspiration from another, even odder, true story. In 1996, Joel and Ethan Coen released “Fargo,” a slowly-building and darkly humorous tale of kidnapping, conspiracy, and revenge. They opened their film with the legend, “This is a true story,” even though it wasn’t. Over in Japan, a lady named Takako Konishi, depressed after losing her job, flew to Minneapolis in late 2001 and was eventually found dead outside a Minnesota town called Detroit Lakes. The media insinuated that she thought a cache of hidden money shown in “Fargo” might be real, and she died looking for it. The official determination, though, supported by some of Takako Konishi’s actions during her final day, was that she went to take her own life in Minnesota because she’d visited there earlier with a lover. The film, directed by David Zellner, takes this misunderstanding and proceeds as if it were true. Kumiko, played by Rinko Kikuchi, travels several thousand miles from her home to search for the money. Traveling alone and speaking very little English, she’s up against non-comprehension, alienation, and just plain loneliness in Minnesota. The movie should be a bracing, if not strictly truthful, account of the power of delusion. The legendary Sammo Hung, who trained with Jackie Chan and Yuen Biao at the Chinese Drama Academy, heads up a remarkable cast in “Once Upon a Time in Shanghai,” playing May 28, June 3, and June 8. 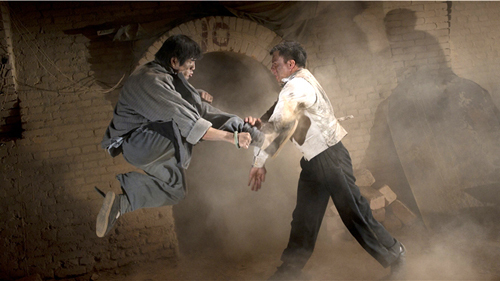 It is a remake of the 1972 film “Boxer from Shantung,” starring Kuan-tai Chen, who also takes a small role in this new version. For more details, show times, and venues, visit http://www.siff.net/festival-2014.